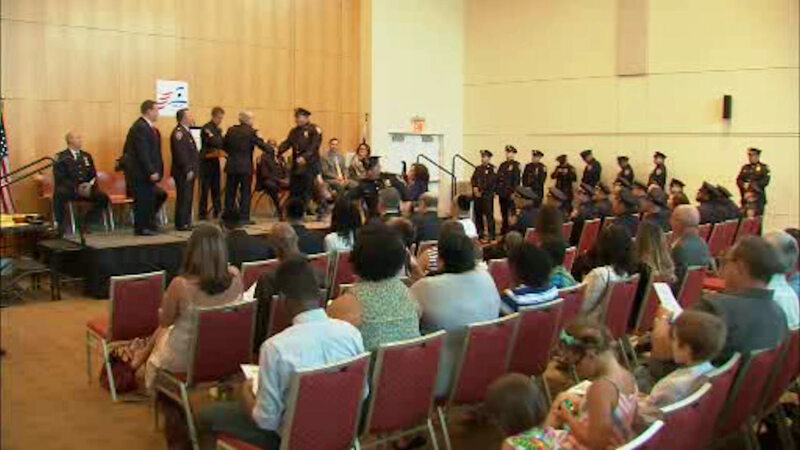 STATEN ISLAND, New York (WABC) -- A large group of NYPD officers were honored on Tuesday night for their commitment and dedication to serving their Staten Island neighborhoods. 34 police officers and three civilian employees from the 120th Precinct were honored by the Staten Island Council of Jewish Organizations. The medal ceremony took place at the Jewish Community Center on Manor Road in Staten Island.